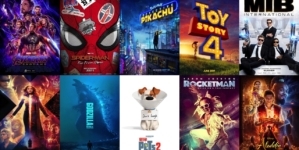 Top 10 Summer Movies: 2019 Edition! 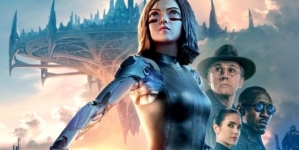 Edward’s Reviews: Alita: Battle Angel is an Action Packed Sci-Fi Epic! The stereotypical image of a bitter old man can easily be conjured in modern culture, but there’s almost always way more to that story. Swedish author Fredrik Backman breathes life into that stereotype in the book A Man Called Ove. In the end, I appreciated the multitude of personalities and how Ove’s seemingly one-dimensional life turned out to be much more touching. At first, there doesn’t seem much to Ove. He’s a cranky old man that chucks shoes at cats for being on his property and yells at his neighbors for parking in the wrong places. His life comprises of mundane routine and bitter comments, but that begins to change as he plans to kill himself after the death of his wife Sonja. But that all changes when two new people move into his neighborhood. His new neighbors, a couple with two daughters, are sure to shake up his life a bit. 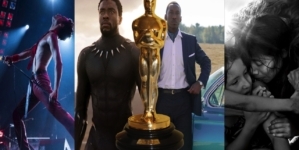 During its production, the book was rejected by many publishers because it was projected to have no commercial potential. But after finally being published in 2012, it soared in sales and quickly became Sweden’s best-seller. The book then continued to grab the attention internationally, as countries all over the world consumed it avidly, especially in South Korea. It’s surprisingly overwhelming sales stumped both Backman and the Korean publisher. Backman’s book made him a well-known author, something that he wasn’t expecting. But the book’s success doesn’t stop there. A Man Called Ove has been adapted into films in both Sweden and America as well as being translated into 38 different languages. Published by the Washington Square Press, its sales brought a touch of Scandinavian humor to American bookshelves. The book doesn’t fall into any clear cut genre, and it was unclear whether or not Americans would take to this whimsical book at first. It was a breath of fresh air that didn’t really abide by any American literary trends. But A Man Called Ove slowly became a bestseller in the US. It’s light fiction is a nice break from more challenging novels. Even though his wife is not living during the book, I like how the Backman weaves little details about her throughout the fabric of the story. We learn that she was the one who brought color and lightheartedness to his life. The contrast between her upbeat, energetic personality with Ove’s calm, simple one really makes their dynamic interesting. As the reader uncovers all of the adventures Ove and Sonja have together, they begin to piece together more of who Ove is and what he’s experienced, oftentimes through re-occurring interactions with cats. The remainder of the book warms up as the reader realizes that there’s much more amiability to an old man who seems heartless. Themes of a love for life and the celebration of people’s individual quirks soon flourishes within the book’s plot. At first, it was hard to get engaged in the book. The beginning is comprised of many repetitive scenarios designed to further illustrate Ove as a bitter old man, which I thought became boring. But as I stuck with it, the plot began to develop itself more, and Ove’s rich history was revealed gradually. Although seemingly bland on the outside, Ove’s has complex character development which is influenced by many characters in the book. The book has been on East’s summer reading list, and many students have found it to be a good read. I give 7/10. 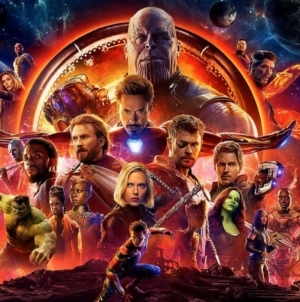 Although it was slow at first, it was a good book overall because it emphasized the importance of being kind to people and did a wonderful job of using Ove as a means to get that message across. If you enjoyed this book, I would recommend checking out other titles written by Backman such as My Grandmother Asked Me to Tell You She’s Sorry and Britt-Marie Was Here. On a similar note, other books of light fiction would also prove to provide a similar enjoyment as Ove does. So there you have it, 2.8 million copies sold worldwide just goes to show the love people have for quirky characters like Ove. Pick up this book and watch an old man transform into a person who is so much more complex than what he initially seems. This author has not added a biography. Meanwhile East News has contributed 888 posts. Click here	to view them. 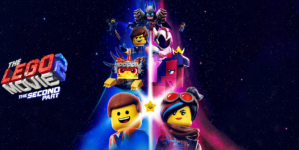 The Lego Movie 2: Everything is Awesome in This Sequel!